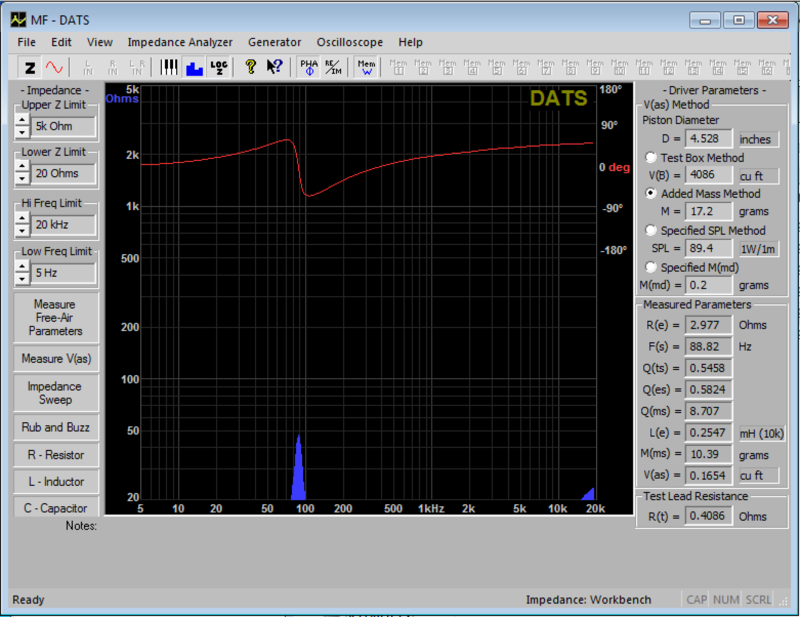 You need to measure TS parameters exactly like the video shows. After that, you can return the drivers in to the cabinets and measure the impedances of individual drivers without crossover. You will need it for simulations later. Tweeter is always measured for impedance not for TS. 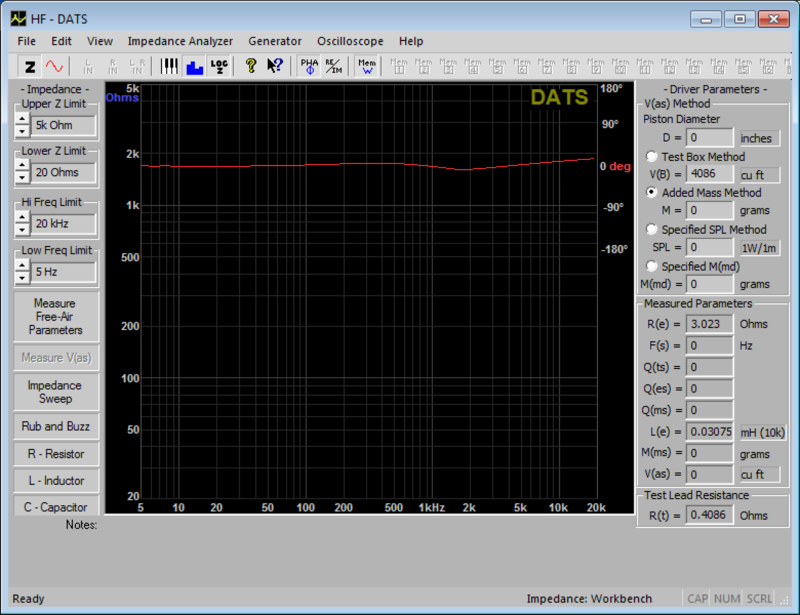 Your woofer and midwoofer needs TS, you can measure it either by added mass or known cabinet volume method. Last edited by Zvu; 10th April 2019 at 09:19 PM. Could you please have a look at the measurements so I can put the speaker back together? You haven't added any mass to derive Vas. Or at least i don't see it on the pics. Look the dats video again. I can see the Vas except on the tweeter's file. Thank you, I was already looking for better wires, so your advice is very useful! I will check all of these wires. However, I will finish the measurement, run some simulation, try to design something better, and if it looks much better on paper, then I will try and then share my results with everyone. Can you please confirm these are the wires what you advised? Last edited by wtnsmk; 12th April 2019 at 10:08 AM. I have recreated response you've measured close enough. 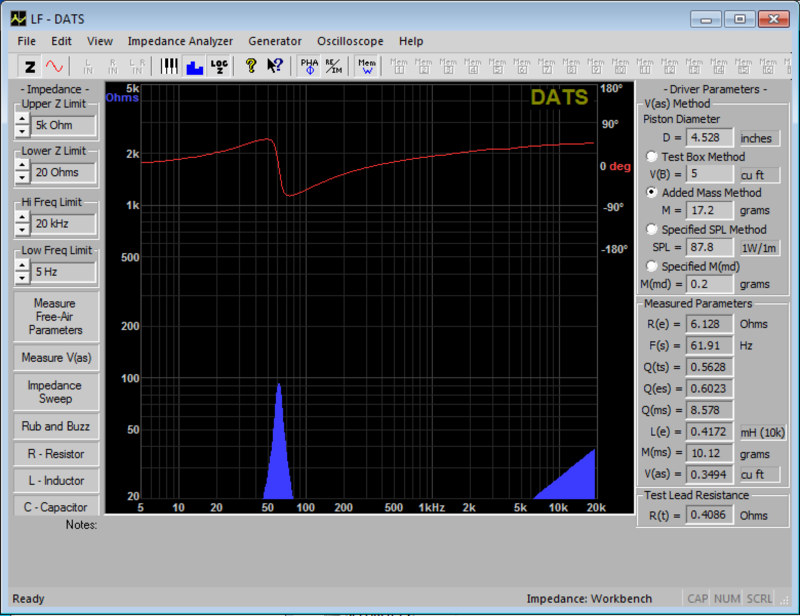 When you measure frequency response of raw woofer driver in cabinet, we will merge it with this sim at around 100Hz and get quasi anechoic file for simulators. Last edited by Zvu; 12th April 2019 at 10:21 AM. Bought mine from other source (in Germany) but from the data they are the same. Thanks, I was playing with the data in VituixCAD too. Hopefully I can do the frequency measurement next week, I'm still waiting for response from universities as I hope I can use they anechoic chambers.